ping is probably the simplest of all diagnostic commands. It’s used to verify basic TCP/IP connectivity to a network host. 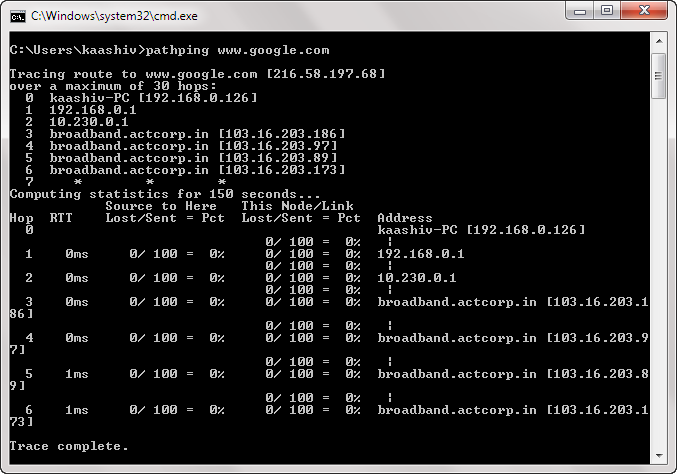 tracert is a short form of traceroute commands. It is used for trace out any issues arises in the networks. It also track the route of the packets. pathping is more or less similar to the tracert which is more informative than tracert. It takes long time to execute. 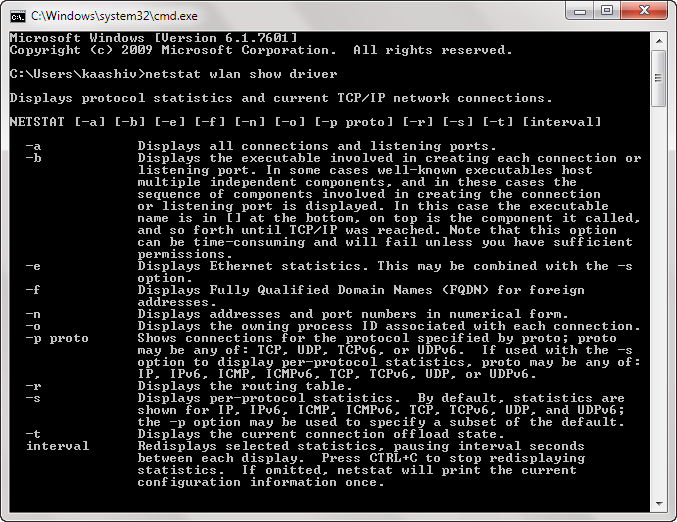 ipconfig is used to find out the ip address of a device. IP address is a Uniquely Identify a computer in a network with 32 bit number. IPv6 Address ( In future generation of network world, this IPV6 will be used not now) – What could be I. 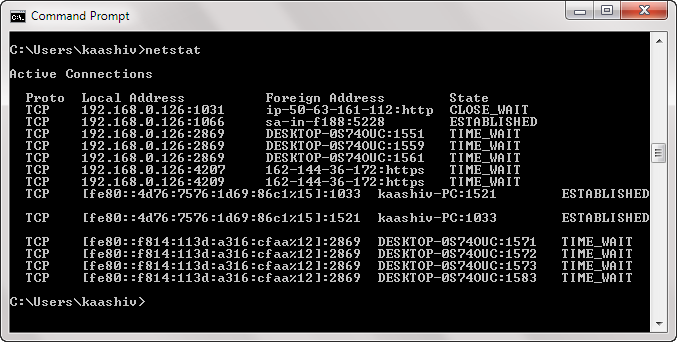 Actual IP Address of your machine. (Who Am I). Subnet Mask (What type Am I). Default Gateway – Through who I can go. MAC address (Media Access Control) is physical address of a device which is assigned by manufactures. 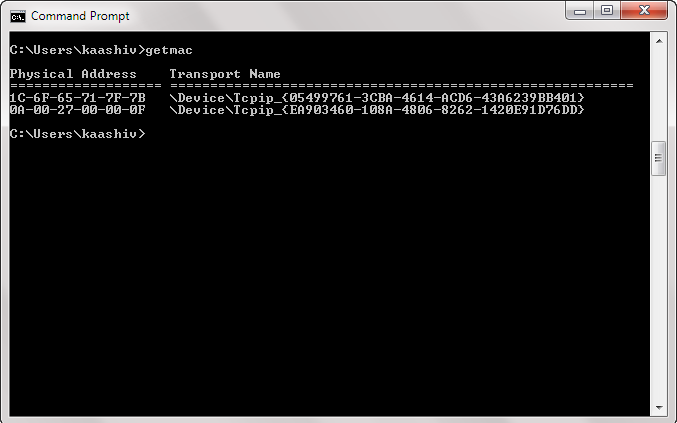 This getmac commands used to display MAC addresses for the local system. 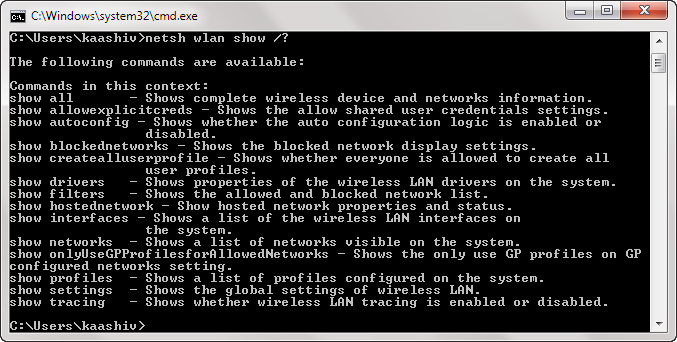 It also shows the information of how many network adapters the system contain. nslookup tool can help you to verify that DNS name resolution is working correctly. When you run nslookup against a host name, the tool will show you how the name was resolved, as well as which DNS server was used during the lookup. Not all IP addresses lead to domain names though, and many IP addresses aren’t reachable over the web. netstat is a tool for network statistics, diagnostics, and analysis. It’s powerful and complex, but can be simple enough if you ignore the advanced aspects that you don’t need to know about. 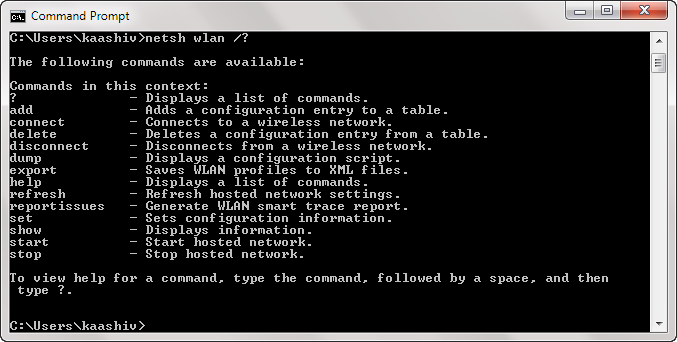 By default, the command shows all “active connections” on your system whether those connections are on LAN or across the internet. An active connection doesn’t mean data is being moved — it could just mean a port that’s open and ready to accept a connection. 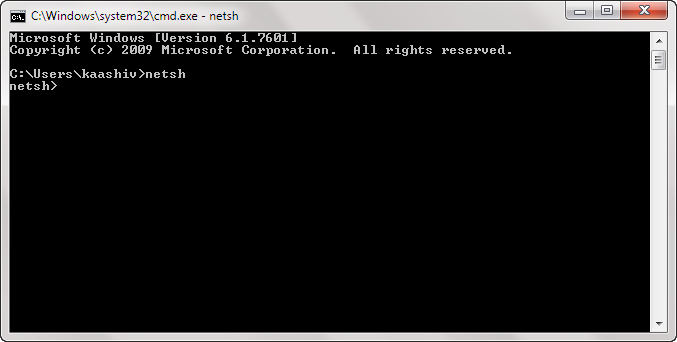 netsh stands for Network Shell. It’s a command that lets you view and configure pretty much every network adapter on your system, in more detail and granularity than any of the preceding commands. 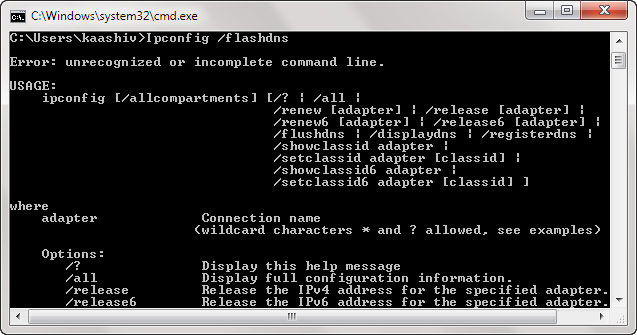 Running the netsh command on its own will shift the Command Prompt into network shell mode. There are several different “contexts” within this shell, including one for routing-related commands, one for DHCP-related commands, and one for diagnostics, among others. But you can use it to run individual commands, too.